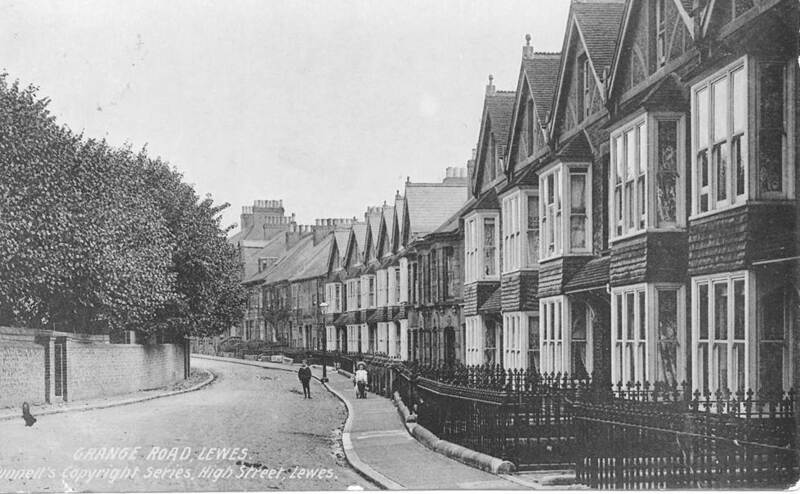 Grange Road lies in Lewes’s conservation area – to the south of the High Street, west of Southover Grange and the famous cobbled Keere Street. It dates from the late nineteenth century and is formed of a row of terraced houses on the south side and detached, semi-detached and blocks of flats on the north side. Early residents came from a range of backgrounds and many of the houses were rented with multiple occupancies.